If you are a seasoned sailor with a solid dinghy background you might be wondering about this blog. Why sail a match race? Fleet racing is much mor fun you might say...Well, I would agree as my own sailing experience is mostly in fleet racing. But, there are few features of match racing that are highly preferable. First, events are much shorter. If you want to do a real competitive fleet regatta such as the Hyeres Olympique or Kieler Woche, you have to take at least a week off of work, whereas you can have almost the same kind of competitiveness at a weekend-long match racing event. Second, you don't have to worry about finding a rental boat or transport your own. All will be there at a match racing event. You will just have to change and go out sailing! Finally, match racing will give you a much different excitement then you find in fleet racing. There is much less room for correcting errors then in fleet race, things happen much faster (especially during pre-start) and rules are actively used for tactical purposes. It will be a different sailing experience. Both fleet racing and match racing are highly likeable sports, each having their own exciting features. Ideally, one should be able to do both given that one has enough time. But, if you are pressed with time, find it hard to own or care for a boat, or want to stay at the top of the game despite decreasing physical fitness, then match racing might be the right choice for you. It's back! The famous Nations Cup, first organized in 1991, is reintroduced by ISAF. Bound to be the match racing event of 2006, the Nations Cup will bring best sailors from all over the world head-to-head. The racing format requires each nation to send their best skipper to a Regional Final. The first two boats from each Region will then move on to the Grand Final, to be held in Ireland in September 2006. There will be a total of 8 Regional Finals, 4 for the European countries, and one for each of the countries in Asia, South America, North America and Oceania. So far, only the Australian entry is announced: Seve Jarvin and Nicky Souter for the Men's and Women's events respectively. Being the defending nation in the Women's event the Australians will be anxious to see who the challengers are going to be. 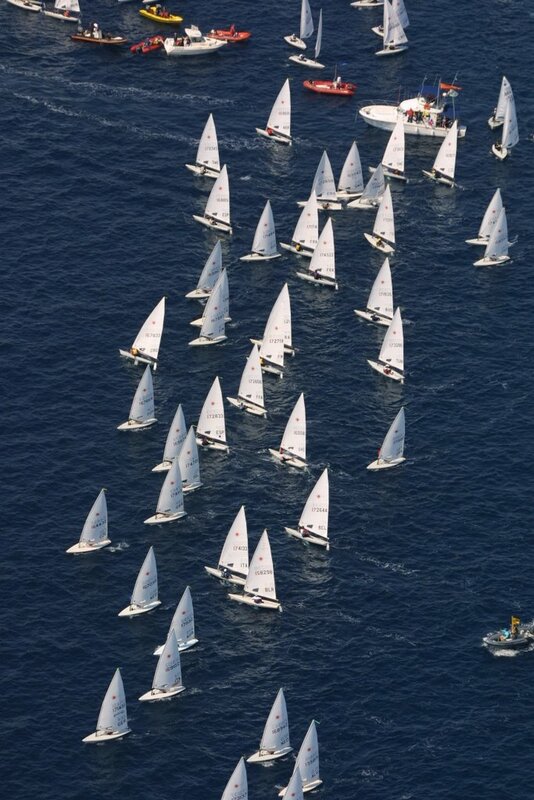 Match Race is a specific type of sailboat racing. Unlike most sailing races, where a bunch of boats sail as a fleet, each race in a Match Race Event involves only two boats. The course is also much shorter and simpler then in the fleet races. The goal behind introducing this type of racing is to make sailing much more easier to follow for spectators. It is clearly being accomplished as manifested in the growing interest in sailing, best seen in the coverage that the infamous America's Cup event gets these days. Sailing rules used in match racing, as well as guidelines for organizing events are governed by the International Sailing Federation (ISAF). Besides being the governing body for the sport of sailing, it also maintains a ranking of sailors both in fleet and match racing. I strongly recommend checking their web site for all matters on sailboat racing. The boats used in match racing depends on the event. The only requirement is that the boats should be one-design, i.e. there should be no significant differences among the boats sailed by the two competitors. Usually, small racing keelboats/yachts such as J24, Melges or Beneteau 24 are preferred. While, the specifics are different for each event, a typical Match Race includes 8-10 teams. These race each other in a similar format like in football tournaments. First, teams are divided in two groups and within each group everybody sails against each other. Then, top two seeds from each group advances to the semi-finals, where winner of one group sails against the second of the other group and vice versa. Finally, winners of semi-finals race against each other for the title. Match Race events are graded by ISAF. The scale goes from 5 to 1, with Grade 1 events at the top of the scale. Participation at any event is by invitation only. This means that one has to contact the organizers and ask for an invitation in order to participate. Starting with Grade 3, getting an invitation mostly depends on your ranking. For example, only skippers from top 50 or 100 are invited to Grade 1 events. Besides the invitation system, there is also qualification. For example, you can qualify to enter a Grade 1 event by winning a Grade 3 event. I've been sailing since I was a little kid... first on Optimist, then on Laser for many many years, and more recently on different boats including Thistle and 470. But, it was not until this year that I tried out a Match Race...Now, with my first year in the circuit behind me, I decided to put my primary focus in sailing on match racing. This blog is part of that decision. Here, I will post on topics related to match racing and obviously reports from events where I participate. TUROS1 is my unique ISAF id. This id allows ISAF to keep track of the performance of skippers that participate in Match Racing or other sailboat races, through a ranking system. I have made my debut in match racing in March 2005 at the UBS Alinghi Swiss Tour. 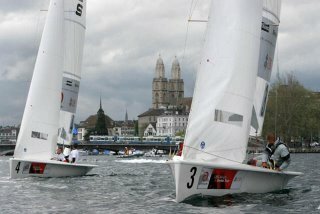 This was an event, sponsored by the infamous Alinghi team, to promote match racing in Switzerland. Acting as a selection event for the swiss sailors to participate at the Swiss Match Racing Championship, the event was well attended by top sailors in Switzerland. Among these good sailors, I skippered a team composed of my sailing friends from the 470 circuit, to finish 10th, tied with two others in front us. Such ties in match racing result from equal amounts of wins and losses, and are resolved by checking the result of matches between skippers that are tied in points. Despite a little bit of disappointment after this event, I decided to continue with match racing. 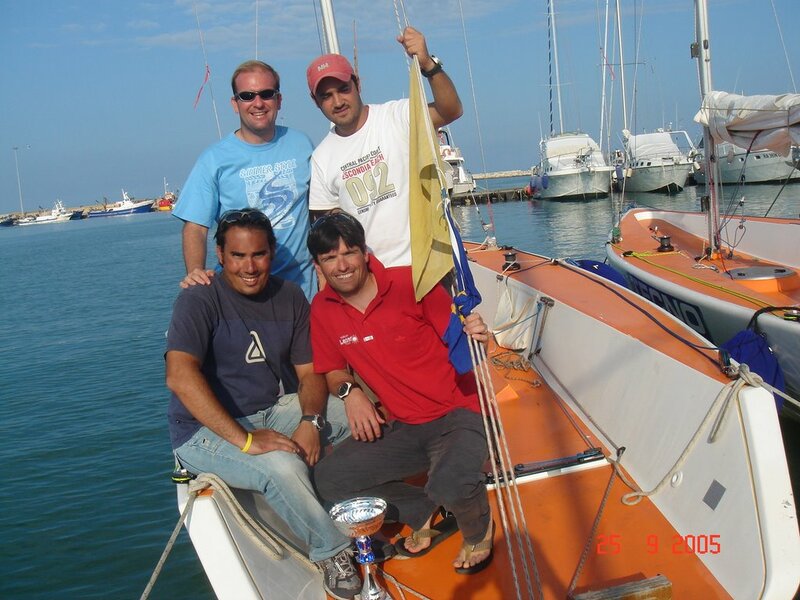 For my second event, I formed a team with my former sailing buddies from the Turkish Sailing Team: Alp, Arda, and Kaya. The team worked out great, as all of us were experienced sailors. Alp has been very competitive in the Laser class for many years (competing at '96 Olympics and most recently winning the Italian Nationals), while Arda and Kaya are currently doing a successfull campaign in the Dragon Class. Together we won the Grade 4 event in San Benedetto, Italy... It was great fun! The boats, the location, the organizers, Italy, and the weather were all great. Obviously, us winning made everything even nicer. Despite never sailing together before, the communication in the team also worked out great. After winning in Italy I was desperate to do more events but it is not an easy task to find the time and the money and then put a team together. Furthermore, it is hard to get invited to events when one is not ranked so high in the skipper rankings. Finally in November, I managed to arrange an event in Brindisi, Italy and sailed with my brothers Cagatay, and Onursal. I don't know if it is the charm of Italy on me, but again everything went great despite a little cold and cloudy weather. 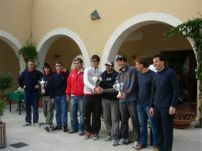 We finished 3rd, which was respectable given the presence of a solid Italian crew, winning the event. Anyways, if you want to participate in Brindisi, it is highly recommended. Trying to get a few more points before the year ended, I found a Grade 3 event in La Rochelle, to attend with my brothers again. Unfortunately the event got cancelled just two days before the announced starting date. This was a pity, since even a bad result here would have give me most needed points in the rankings. To cut the long story short, I finish my first year on the match race circuit as 261nd in the ISAF Match Race rankings. I think it's a good start. Next year, I hope to keep the momentum and do as many races as possible. Alas, stay tuned for more reports.